Here are the diagnostic procedures for the fuel pump system. 1. Turn ignition on. With fingers, pinch fuel feed hose at fuel filter. Fuel pressure pulsation should be felt for 5 seconds after ignition is turned on. If pulsation is not felt, go to next step. If pulsation is felt, system is functioning properly. 2. Turn ignition off. Disconnect fuel pump relay. Fuel pump relay is located in relay box next to battery. Turn ignition on. Measure voltage between ground and fuel pump relay harness connector terminals No. 1 (Blue/Black wire) and No. 3 (Blue/Black wire). Battery voltage should be present. If battery voltage is present, go to next step. If battery voltage is not present, check 15-amp fuse in main fuse box. Check harness continuity between fuse and fuel pump relay. Repair or replace as necessary. 3. Turn ignition off. Disconnect fuel pump harness connector, located under rear seat. Check continuity between ground and fuel pump harness connector Black wire. Check continuity between fuel pump relay harness connector terminal No. 5 (Black/Red wire) and fuel pump harness connector Black/Red wire. Continuity should exist in both checks. If continuity exists in both checks, go to next step. If continuity does not exist, repair appropriate harness or connectors. 4. Ensure ignition is off. Disconnect ECM harness connector. ECM is located under center of instrument panel (connector is on passenger's side). Check continuity between ECM harness connector terminal No. 8 (Black/Yellow wire) and fuel pump relay harness connector terminal No. 2 (Black/Yellow wire). Continuity should exist. If continuity does not exist, check harness between ECM and relay. Repair harness and connectors as necessary. If continuity exists, check fuel pump relay. If relay is okay, check fuel pump. Replaced fuel pump by accessing it under the back seat of the car. We can see a bracket in the gas tank that is visible through the hole but can't figure out how to attach the plastic casing that holds the fuel pump into the bracket so it is not just floating around. (The plastic casing is too large to get through the hole or to manuever around very much so we can't see the under side of it.) Can you help? Also after we replaced the fuel pump the gas gauge does not work. How can we fix that? I have a 1998 nissan altima gle car that I cannot start. I purchased this car from someone that had the same problem and got tired of messing with it. He told me that he got it running once and it ran down the road and back, he cut it off and on a couple of times and it started fine. But later on that day the car would not star again at all. So I have tried to fiddle with car awhile now and I cannot figure out what is wrong with car. I cannot get the fuel pump to activate to send fuel to car. I also put the code scan tool on car but the scanner said that it was unable to connect to the system of the car, and there was not a battery hooked to car for months when I bought it so there wouldnt be ant codes in system but why would it say it is unable to communicate with system. I have tested the fuel pump by putting 12 volts directly from a spare battery and the pump worked. I traced the pump wires all the way up to the front drivers door under the trim and I put 12 volts battery power directly to them and the pump worked. I found and tested the fuse and it was ok. I swapped out fuel pump relays and the fuel pump still did not work. The fuel pump relay is the brown relay on the fuse panel top right on the drivers side under dash right? 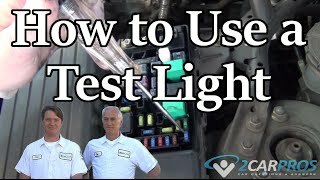 I put a test light on the fuel relay connector on the fuse panel to see if I was getting voltage on that connector and the light did light up. I also sprayed some engine starter fluid into the throttle body and the car started up until it burned all the starter fluid up. Ok, in the cavity for the relay, is there 2 hot wires? One will be hot all the time and the other with the key on only. Did you check for power to the pump with the key on? The fuel pump relay works only on 4 wires. Terminal 1 & 3 must have battery voltage at all times. Sorry our database does not idicate which is the correct relay. I have only 3 relays shown. Ok none of those shown on the diagramis the fuel pump relay. The diagram you sent is almost exactly like the one in my car under dash except there are two more on top of the three shown on your picture. Do you know where the fuel pump relay is located on my car ust in case I do not have the right one, and where do I go from here if I do have the correct relay. None of my relays have what they are anywhere on them or the panel or the cover over the fuse box. My car was running normally when all of a sudden it started to sputter and died, it reminded me of vapor lock, so I took off the gas cap, put it back on the car started and ran fine for about a mile. This happened 3 times in my 4 mile drive. However when I got home and went to leave again, the car would turn over and not start. I have checked the fuse, the relay switch, changed the spark plugs and wires, replaced the fuel filter, distributer cap, and router, still no change. My next idea was the fuel pump, this is something I doubt I can do myself, is there a way to test it (easy way), or are there anyother suggestions? Do you hear the fuel pump come On if so check the fuel pressure with a fuel pressure gauge designed for your fuel system then report the readings-we start from here. We got a long way to go. Roy I want to thank you for the assistance on the fuel pump problem I had. The help you gave me on the wire color for the pump relay was right on. I got bad info from another source and that took up alot of time and work. But now the pump is working the car still will not start but the pump is now working. What I have tried first is putting starting fluid directly into the throttle body and the car fired right up until the fluid was gone. Next I tested each spark plug wire coming from coil to see if I was getting fire, and all 4 wires were firing up. Next I done a test to see if there was power on the fuel injector connectors and all 4 connectors had 12 volts on them. Next I tested the injectors with my ohm meter and the 4 injectors all tested 11.3 to 11.6 resistance and my repair manual showed that the injectors should have resistance of 10 to 14. I listened for the fuel pump and instead of hearing a humming noise it sounded like a rush of gas like alot of gas running through at once. I dont have a pressure gauge are they expensive, and how hard is it to use? I am very inexperienced. Its inexpensive just hook it up at the fuel filter T-in or at the fuel rail pressure test port. I thought I was done here. You have a problem with the injectors circuit. They are not pulsing and that couls mean a fault with the PCM or cam sensor. can you please tell me the difference between a relay fuel pump and a fuel pump? How Do I Get To The Fuel Pump Of A 1996 Nissan Altima Gxe With A Build Date Of 01/96? Where Is The Fuel Pump Located On 1997 Nissan Altima? What Is The Best Way To Access It So It Can Be Replaced?